Through the stories of three generations of women in her family, Karoline Kan, a former New York Times reporter based in Beijing, reveals how they navigated their way in a country beset by poverty and often-violent political unrest. As the Kans move from quiet villages to crowded towns and through the urban streets of Beijing in search of a better way of life, they are forced to confront the past and break the chains of tradition, especially those forced on women. Raw and revealing, Karoline Kan offers gripping tales of her grandmother, who struggled to make a way for her family during the Great Famine; of her mother, who defied the One-Child Policy by giving birth to Karoline; of her cousin, a shoe factory worker scraping by on 6 yuan (88 cents) per hour; and of herself, as an ambitious millennial striving to find a job--and true love--during a time rife with bewildering social change. 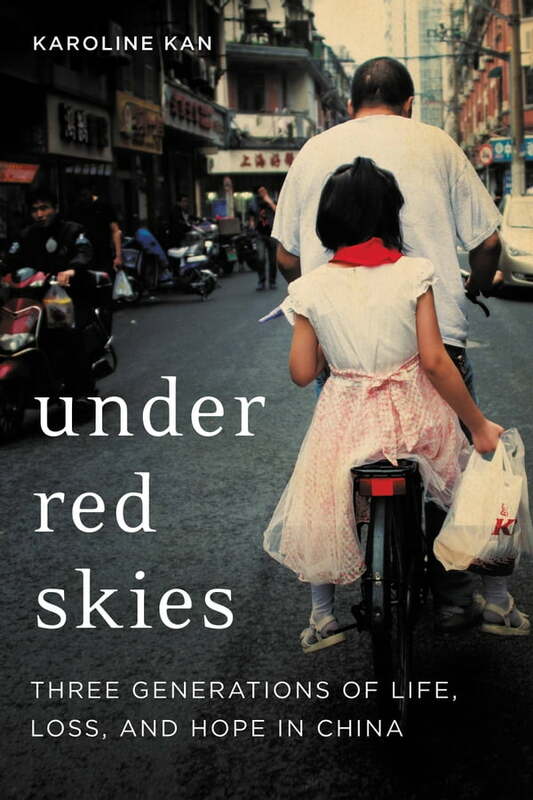 Under Red Skies is an engaging eyewitness account and Karoline's quest to understand the rapidly evolving, shifting sands of China. It is the first English-language memoir from a Chinese millennial to be published in America, and a fascinating portrait of an otherwise-hidden world, written from the perspective of those who live there.